Staff Sgt. 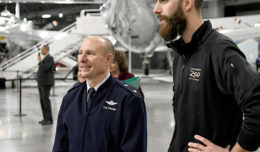 Andrew Travis, 412th Aerospace Medicine Squadron Bioenvironmental Engineering Team (left), observes Staff Sgt. Kenroy Steele, 412th Maintenance Squadron, testing the respirator filter cartridge on a mask at the 412th MXS Fabrication Flight Jan. 23, 2018. 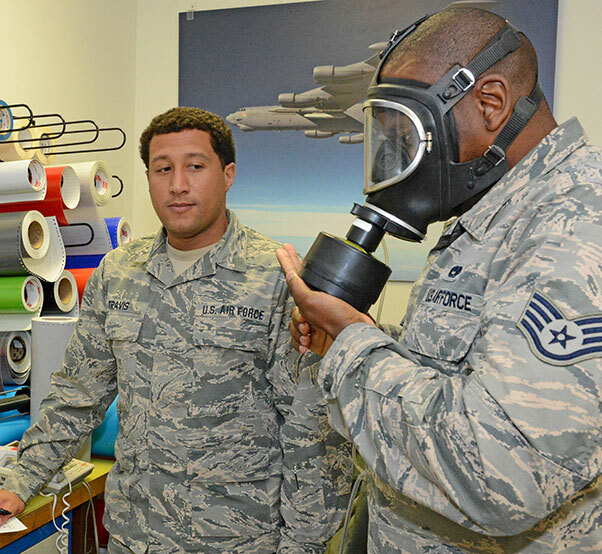 Airmen from Bioenvironmental dropped by on their annual check to make sure each member of the flight were properly trained on how to fit their different masks. The masks are used for various work on aircraft structures to include painting and corrosion treatment. A machine connected to the masks tested each member by having them simulate different behaviors and movements to ensure the masks fit properly. 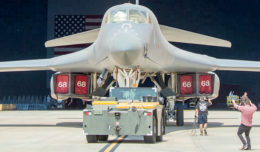 Supervisors from the Fabrication Flight said they appreciate the Bioenvironmental Engineering Team coming to them as it saves precious work time by not having each maintenance member go to the 412th AMDS for the annual check.